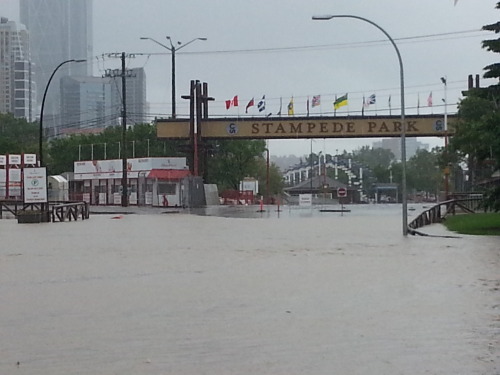 It’s being called the Alberta Flood of 2013. 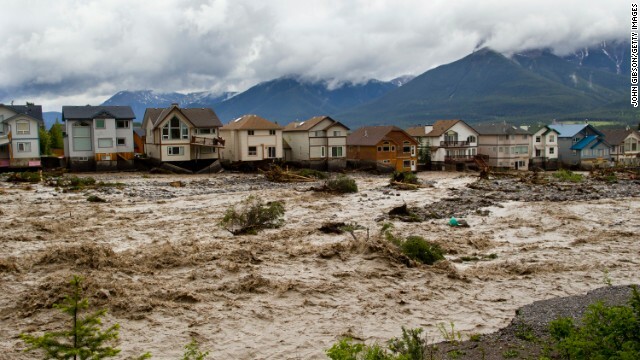 Within a few short days, towns, cities and homes have been devoured by a massive flood. Roads have been torn apart, bridges collapsed, houses destroyed, lives stolen by waters that raged through the province of Alberta. The following images I’m showing are samples of what you can find online if you search for YYC Flood or Calgary 2013 Flood. Calgary, my city, is known internationally for being the home office of several large oil and gas companies. We’re known for the Calgary Stampede – the Largest Outdoor Show on Earth. And yet, the past several days, our downtown has become a ghost town and the Stampede, which is to begin in a few short days, is under water. And yet, despite this flood and the trauma is has caused this province…I’ve been amazed by the hearts of Calgarians and Albertans. We’re resilient people whose true characters shone through during this time. If you follow me on Twitter – you’ve probably seen all my RT’s about the news updates. I’m not going to apologize for filling your stream…I wanted to help in any way I could and passing the word was the best way. I’ve lived in Calgary for 9 years now. And during these 9 years, I will admit – I’ve wished we could move back ‘home’ – back to Ontario. I knew it might never happen – my husband’s job is here – but it was a wish, a dream, a hope that one day we might move back. I don’t dream that anymore. I can honestly say that I have fallen in love with my city. Not because of its beauty or what it has to offer me in regards to services – but because of the people. We have a mayor that has worked tirelessly to ensure the people of this city were safe. We have firemen and police and a multitude of other volunteers who gave of their time and energy to make sure no one was left behind. Despite the 100’s of thousands who had to evacuate their homes – these men and women were there to ensure their safety. But not only them … the average person living in this province. Whether they lived in High River and had to be evacuated by tractor, or others who lived in areas where their homes were not threatened – they all came together. There were so many requests – people wanted to help and didn’t know how. This city joined together to ensure everyone’s safety…and in the coming days/weeks/months – I have no doubt this will continue. I love Calgary – because the hearts of the people here are true and sincere and full of love! Great post Steena. I have never been so proud to be a Calgarian. The weather may be challenging at times (smile) but the people are amazing. Mayor Nenshi has made us proud, as have all the rest of the people who have pulled together to take care of one another…and make the 2013 Stampede actually happen. Wow! What a testament to the spirit of Calgarians. I hear you! We moved here 8 years ago and I figured this would be another brief part of our life history; work and school had led to a pretty nomadic lifestyle. But I love being a Calgarian; it is a great city with great people. Watching everyone band together and the fantastic competence of our emergency crews, leadership and volunteers fills me with incredible respect and gratitude. Seriously stellar job! You wanted to leave??? I am shocked. When you land in the promised land you don’t leave. And Nenshi has been amazing.